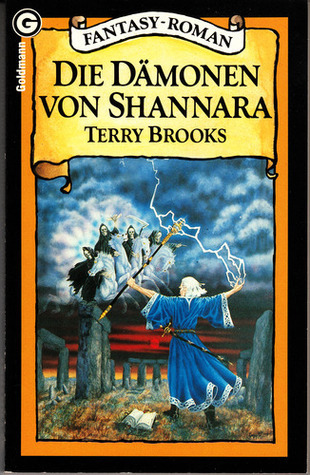 Terry Brooks Mechthild Sandberg - Terry Brooks was born in Illinois in 1944, where he spent a great deal of his childhood and early adulthood dreaming up stories in and around Sinnissippi Park, the very same park that would eventually become the setting for his bestselling Word & Void trilogy. He went to college and received his undergraduate degree from Hamilton College, where he majored in English Literature, and he received his graduate degree from the School of Law at Washington & Lee University.A writer since high school, he wrote many stories within the genres of science fiction, western, fiction, and non-fiction, until one semester early in his college years he was given The Lord of the Rings to read. That moment changed Terry's life forever, because in Tolkien's great work he found all the elements needed to fully explore his writing combined in one genre.He then wrote The Sword of Shannara, the seven year grand result retaining sanity while studying at Washington & Lee University and practicing law. It became the first work of fiction ever to appear on the New York Times trade paperback bestseller list, where it remained for over five months.